When Park City gets crowded, it gets very, very crowded—like between Christmas and New Year’s, just after the lifts close. Driving out of a resort parking lot is a slow, annoying crawl, tapping brakes all the way down the road, through town and to the freeway. Or worse, the crowd horror of Sundance a few weeks later (Jan. 17 to 27 this year): 10 days of bumper-to-bumper vehicles and shoulder-to-shoulder people everywhere, all of which turns the six miles from Kimball Junction to Main Street into a 45-minute drive—sometimes longer. But as construction continued to climb eastward and upward, the proliferation of multiple narrow roads became a problem. Residents were forced to travel all the way back down their little street to get to a larger street that would take them into town. So, convenient alleys were built, allowing people to cut through the rows of houses. 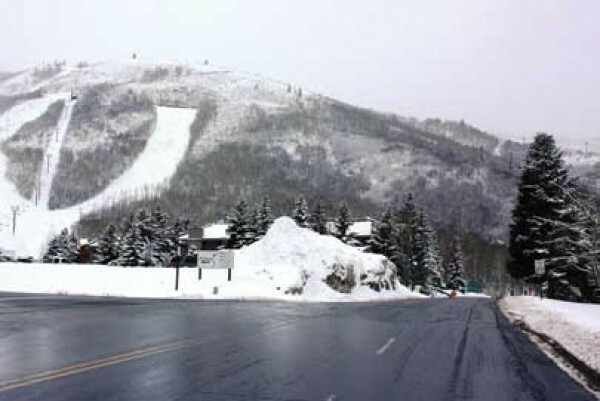 This gives those in the know a quick way to maneuver through congestion when Park City is crowded. And now, as your holiday gift, I tell you of the very best shortcuts. * This article has been updated from the print edition with new information about mileage and street signs provided by the author.